Soon Kamilya’s Forever more is signing off the air, but ABS-CBN promises to bring more to the viewers. Six new soap operas and coming our way and we can expect more from the network who creates memorable tv series. Pasion De Amor is an adaptation of Columbia’s "Pasion da Gavilanes". The drama will feature the hunks Ejay Falcon, Jake Cuenca, and Joseph Marco and they will be playing the roles as brothers who are determined to avenge their sister’s death. To have their revenge, the three decided to work for their rival family and make the daughters fall in love. The three daughters will ba played by Ellen Adarna , Arci Munoz,and Coleen Garcia. On the Wings of Love is another production from Dreamscape who had brought Forevermore to life. The On the Wings of Love is set in San Francisco and will star James Reid and Nadine Lustre as Overseas Filipino Workers who had to get married just to stay in the United States. Together with JaDine are veteran actors Joel Torre, Cherry Pie Picache, and Nanette Inventor under the direction of "That Thing Called Tadhana’s” director Antoinette Jadaone. Dreamscape’s Someone to Watch Over Me is an action- comedy - romance drama that will feature Judy Ann Santos and Richard Yap. Yap will play as a business tycoon who will meet an NBI agent portrayed by Santos. They will be joined by Eddie Garcia, Diether Ocampo, and Tirso Cruz III. The series is directed by Onat Diaz and Trina Dayrit. And I Love You So will circulate in lessons on friendship, family, betrayal and love. Featuring the newest love team, Julia Barretto and Inigo Pascual, they will be working with Dante Rivero, Dimples Romana, Angel Aquino, Bing Loyzaga, Luke Jickain, Raymond Bagatsing,and Jay Manalo under the direction of Don Cuaresma. 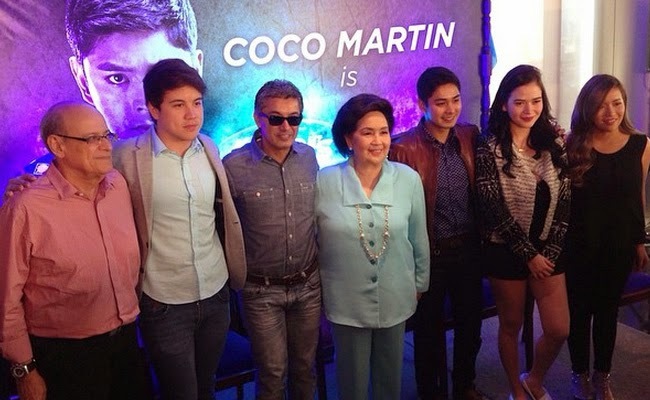 FPJ Productions wil work hand in hand with Dreamscape to produce ‘Ang Probinsyano,’ that will feature Coco Martin as a provincial cop like Fernando Poe, Jr. In his 1997 action movie. He will be joined by Jaime Fabregas, Angeline Quinto, Albert Martinez, Arjo Atayde and new Kapamilya star Bela Padilla. 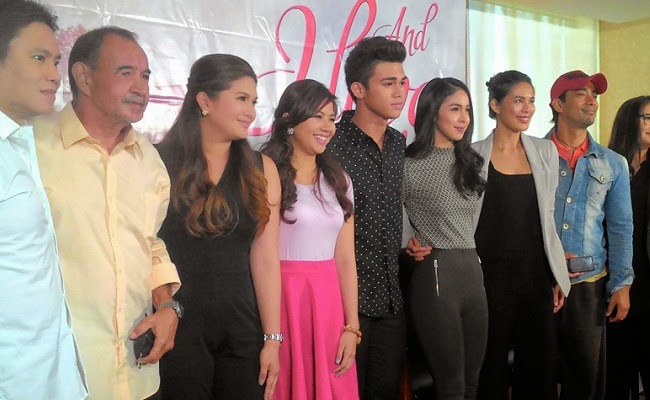 ‘Pangako Sa’Yo’ is only the newest Kapamilya drama with announced premier date. Coming on May 25, people will see the new version of the internationally acclaimed iconic drama that propelled the careers of Jericho Rosales and Kristine Hermosa. Kathryn Bernardo and Daniel Padilla will be Yna and Angelo, ready to give twist on the story you thought you knew by heart.